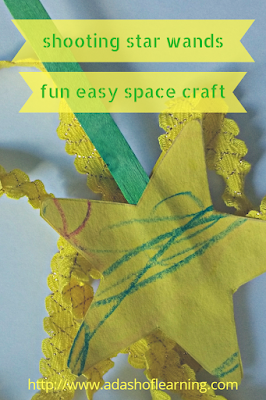 Today, we're going to continue on with our space theme with a fun little craft that will enable your child to make their own shooting star! 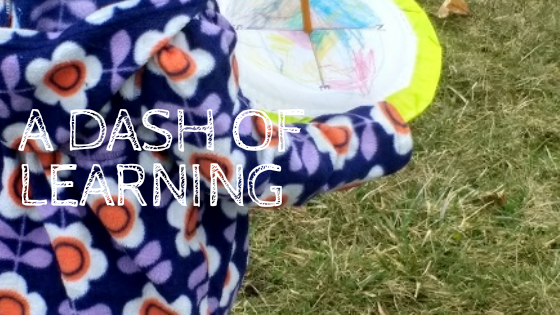 This was such a fun craft/child made toy that I am so excited to share with you. It is not only pretty and fun to make, but it is also fun to play with afterwards! (I absolutely love crafts that enable kids to create their own play things such as the butterfly dress up wings that I posted about last spring). If you haven't read it already, be sure to check out the Star Splatter Painting project that I wrote about yesterday. It was so much fun! 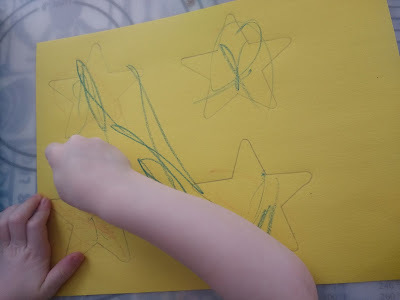 To begin, your going to need to draw or trace two stars (per wand) onto a sheet of construction paper. I just traced a plastic glow in the dark star that I had lying around the house. If you want to draw yours, I would recommend drawing it onto a separate sheet of paper and then tracing it onto the construction paper (so that all of your stars are the same). 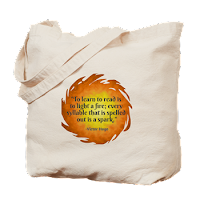 Give the paper to your child, along with some crayons or other material to decorate the stars. When they are finished, have them cut out the stars (or cut the stars out yourself depending on their ability with scissors). Lay a star decorated side down onto the work surface. 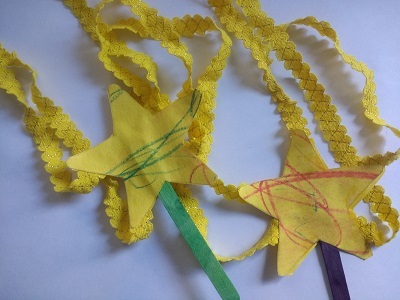 Invite them to squeeze out some glue onto the star's plain side and press in the craft stick and ribbon. Then have them add some more glue and another star (this time decorated side facing up) to finish. Set aside to dry somewhere safe. Once dry, take them back out and invite your child to play with them. We made two, so that we would be able to play with them together. 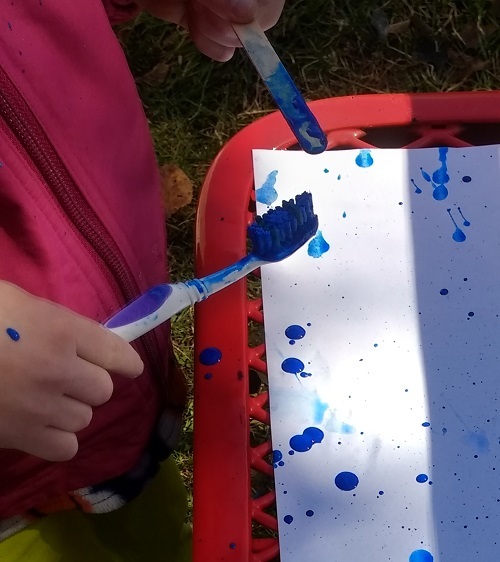 Looking for another fun craft activity to do with your preschooler? Check out our Colorful Coffee Filter Butterfly Craft! Thank you so much for taking the time to stop by and read about our Shooting Star Wand Craft. We had so much fun making them and we hope you do too! 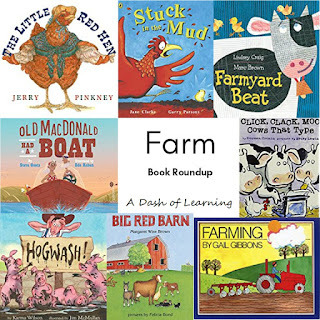 If you enjoyed this activity, please consider sharing with your friends on Facebook or leaving a comment down below. We'd love to hear from you! Good day. I discovered your online journal utilizing msn.I’d choose to make use of some with the content on my blog whether or not you don’t mind.Magnificent work.I trust you would not have reservations if I placed a link here?